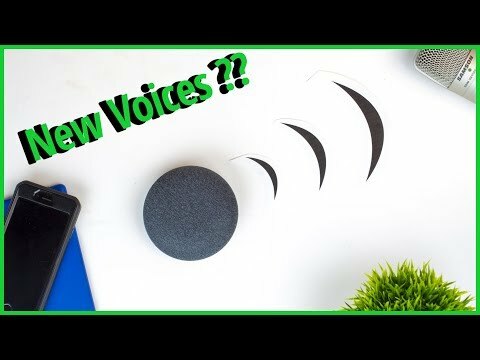 Choose A New Voice For Your Google Home....! Thanks for your Likes & Subs! 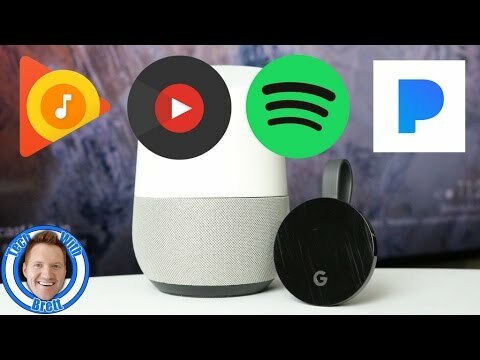 Full written review: TechGadgetsCanada.com Smart digital assistants are growing in popularity, big time. In Canada, there’s really only two choices right now: Amazon Echo and Google Home. 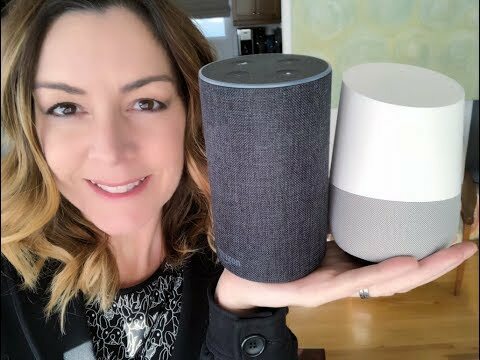 Each brand has different versions of their assistants, usually a full size and a mini.At their core, these smart speakers/digital assistants operate largely the same no matter which size you choose, so we’ll focus this comparison on the base models; the full size Echo and Home. 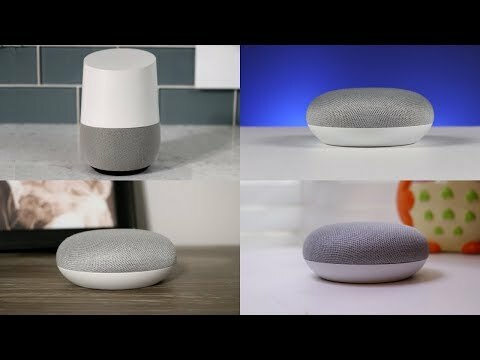 Google Home vs Amazon Echo: Who you talking to? Human or Robot? 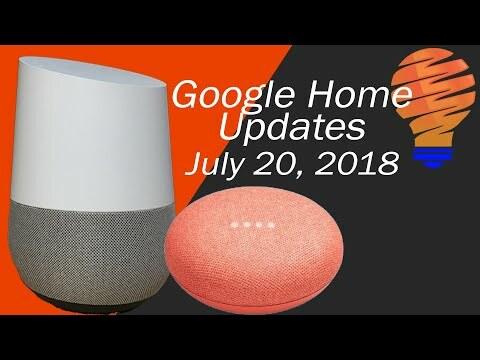 Each of the home devices has a different Assistant personality: Google has the Google Assistant, aka “Google”. Amazon has Alexa. 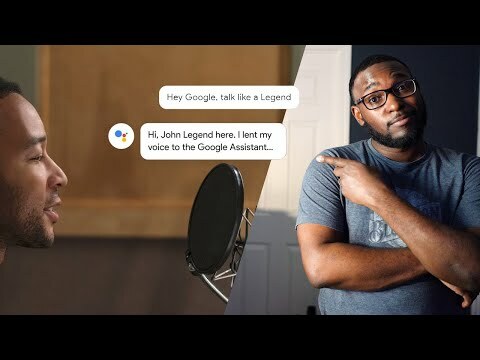 While both have female voices by default, Google Assistant has a more normal and natural sounding voice and delivery. Alexa’s delivery is rather robotic and vaguely European even though I’ve selected Canadian English as her voice. Will one of those voices please you more than the other? Maybe. At the moment, my preference is for Google Home. 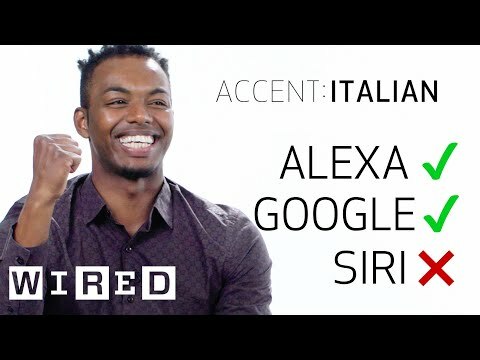 While you have some choice for accent changes with Alexa, for the moment you don’t with Google Home. 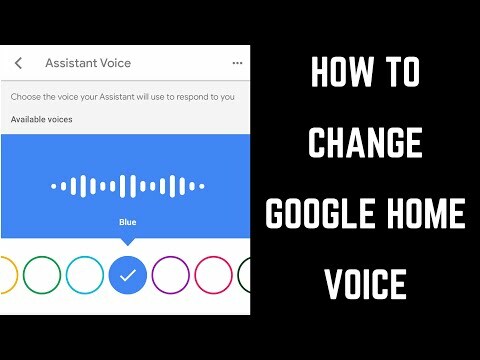 Here’s how to do it: To change your Google assistant’s voice: Go to Google Home -Hamburger Menu- Settings or More Settings- Preferences- Assistant Voice. ✅ Voice WINNER: Google Home So how do you know which of these smart speakers is for you? Here are some of the other choices you’ll have to make when deciding between Google Home and Amazon Echo. 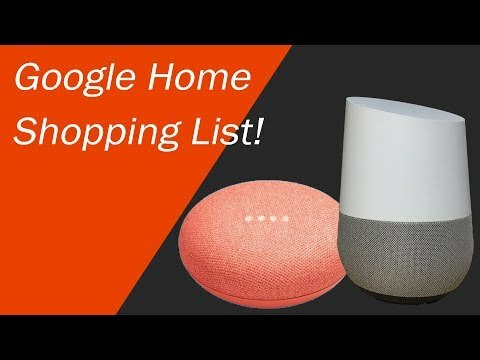 Do Google Home and Amazon Echo do the same tasks? Yes. By and large these devices perform all the same basic functions: playing music (Google Play Music, Amazon Music, Spotify) answering questions setting timers controlling Smart Home gadgets like lights, thermostats, door locks and more telling you about your day; see more below getting news, weather and traffic info making conversions: money, measurements, time make phone calls look up phone numbers (and call them) add items to to-do lists and create reminders make calendar appointments; depending on your OS, see below Want to know how to talk to Google Home and Philips Hue smart lights? 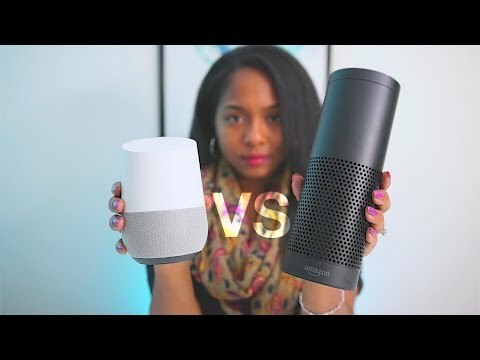 Google Home vs Amazon Echo: Are you Apple or Android? 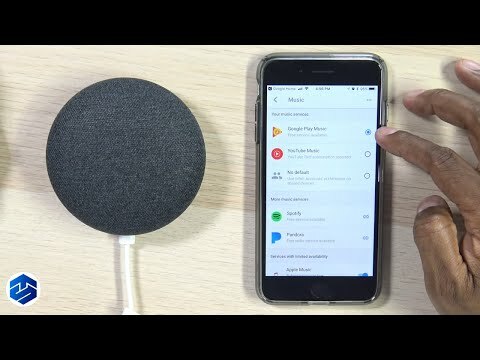 Both Amazon Echo and and Google Home are compatible with many different smartphone platforms, including Android, Apple and more.google home speaker assistant what why how to Google Home is definitely made to work closely with its own Pixel line of smartphones, and other Android phones and you may enjoy a more seamless experience if this is the platform you’ve got. As far as Amazon Echo goes, the device may seem to be geared towards the Android world, but again, there’s a lot you can do with your Apple iPhone. Can Alexa link to Apple Calendar? With Echo you *can* add your calendar to Alexa’s brain. She’ll integrate with Apple Calendar/iCloud, Microsoft Outlook and Office, plus the G-suite of apps and functions from Google. Want to hear about your day or list of appointments from your Apple calendar? Alexa will tell you. ✅ Compatibility WINNER: Amazon Echo Google Home vs Amazon Echo: Smart home control Both Home and Echo can control your smart home devices, and the list is pretty much universal, though if you’re wondering about controlling a specific smart home toy, it’s a good idea to check it. But when it comes to door locks, lights and thermostats, they’re both pretty much the same. If I noticed any difference its that it’s much much easier to add a single new device to Echo. For example, when I wanted to add a single new LIFX light, with Google Home I need to uninstall and reinstall the whole LIFX lineup of several bulbs, whereas with Echo, I just add the one light and it works great. Google Home vs Amazon Alexa: Price Amazon Echo costs $129 CAD. Google Home is $179CAD. 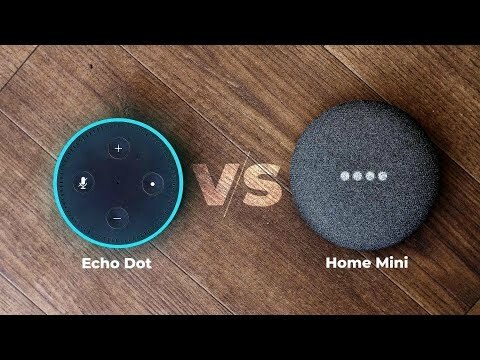 Given that Echo has more versatility and functionality, and it costs less, this battle goes to Alexa. ✅ Price WINNER: Amazon Echo So who’s best? 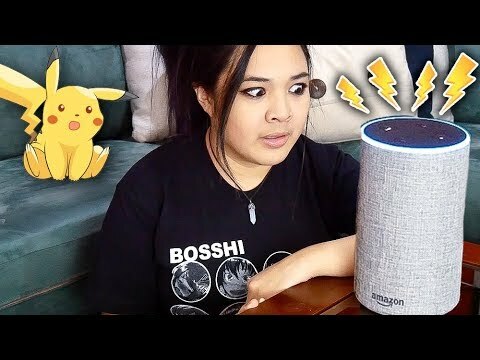 Amazon Echo or Google Home? All things considered, Amazon Echo does more and is more versatile, speaking to different platforms and devices (not just Android) and it costs less. If you’re looking for a smart home digital assistant and speaker to start out with Amazon Echo is the winner. 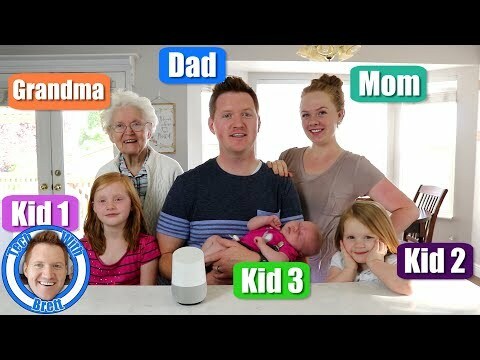 ✅ OVERALL WINNER: Amazon Echo Do you agree or disagree? Have any questions about what these devices can do? Ask in comments . 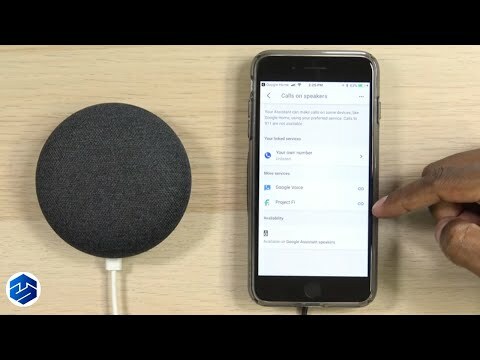 This video shows you how to change your Google Home voice using the Google Home app for iPhone, iPad and Android devices. 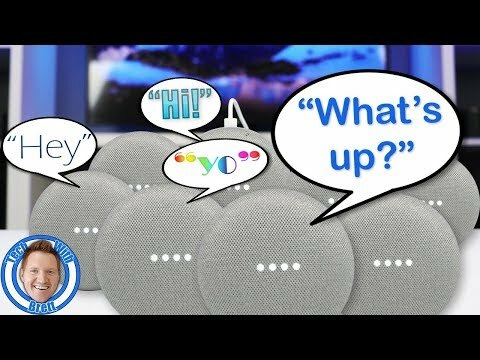 See more videos by Max here: https://www.youtube.com/c/MaxDalton Video Transcript: Google Home speakers are a great way to build out your smart home. 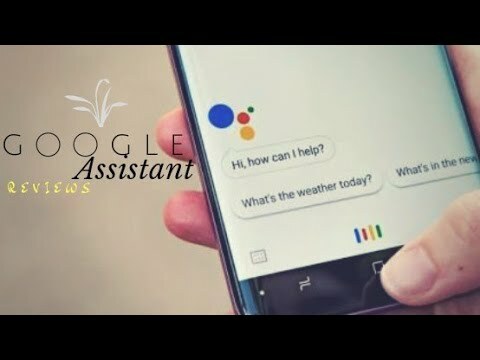 They feature good sound, and a wide variety of devices and services are integrated into Google Assistant. 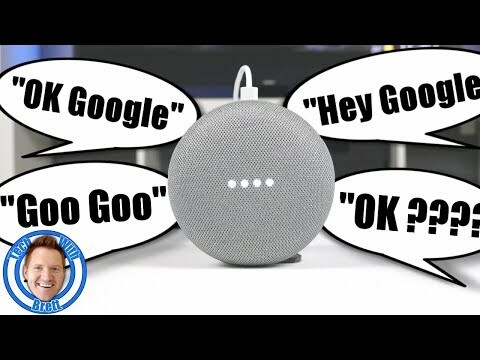 One aspect of Google Home devices that not everyone likes is the default voice. 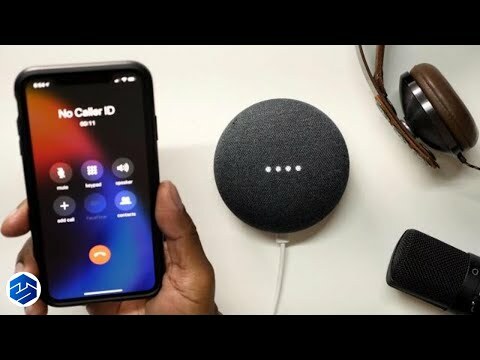 Thankfully, if you want to change your Google Home voice, you can do so quickly using the Google Home app for iPhone, iPad and Android devices. 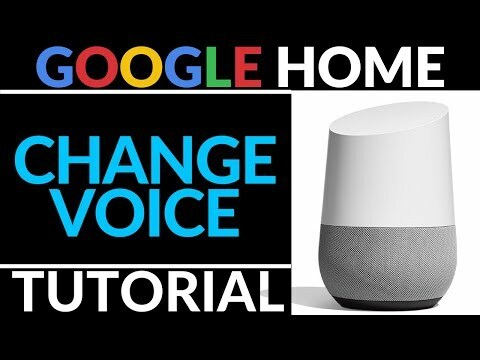 Now let's walk through the steps to change your Google Home voice. Step 1. Tap to launch the Google Home app on your iPhone, iPad or Android device. Your Google Home home screen appears. Step 2. 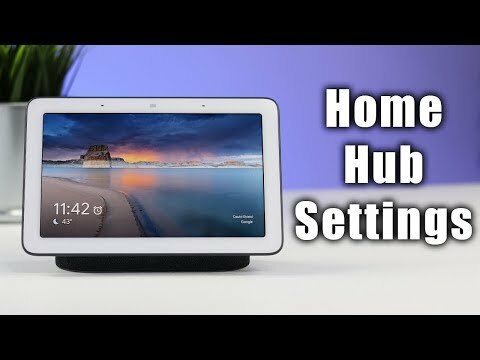 Tap the "Settings" icon on your Google Home home screen. The Settings icon has an image of a gear on it. The Settings screen appears. Step 3. Scroll down to the bottom of the Settings screen, where you'll see a More Settings option. Tap "More Settings." You'll arrive at a screen with additional settings. Step 4. Tap "Assistant" in the row of options at the top of the menu. The Assistant options appear in the menu. Step 5. Tap "Assistant Voice" in the menu. 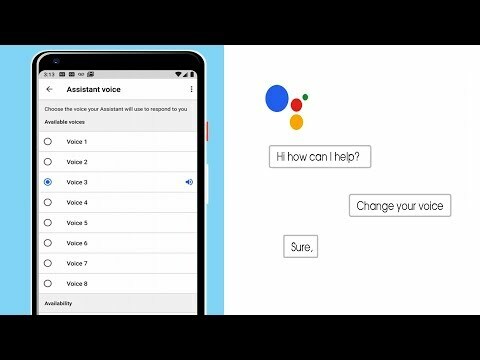 The Assistant Voice menu appears. Step 6. Tap to place a check mark inside of a different color dot. 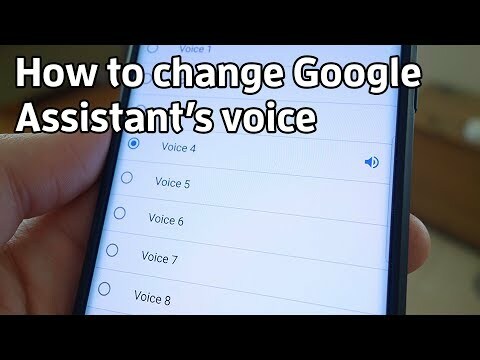 As soon as you do this, a sample of your Google Assistant's voice will play. The voices will vary between male and female, and they will all have a different type of accent. For example, if you want to change your Google Home voice to be British, you could select the British Racing Green option. 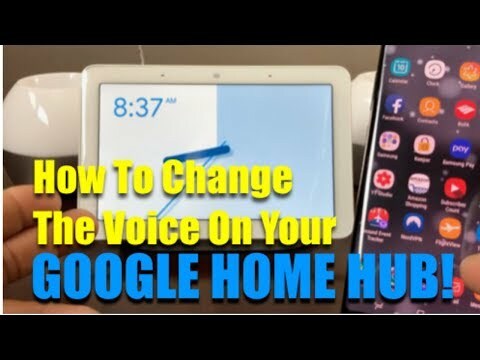 When you find the voice you want to change your Google Home voice to, leave that option checked and either tap to return to the Google Home home screen or close the Google Home app. The next time you interact with your Google Home, your device's voice will be changed. 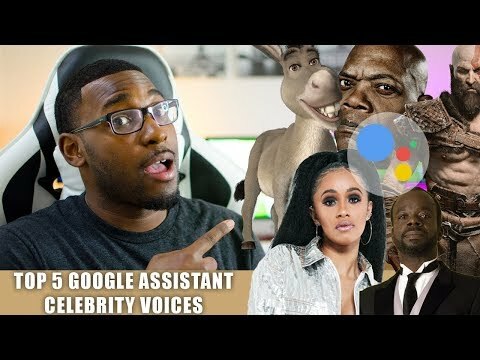 Last month Google announced a lot of things at their Google I/O 2018 and among those are some new voices for your Google Assistant. 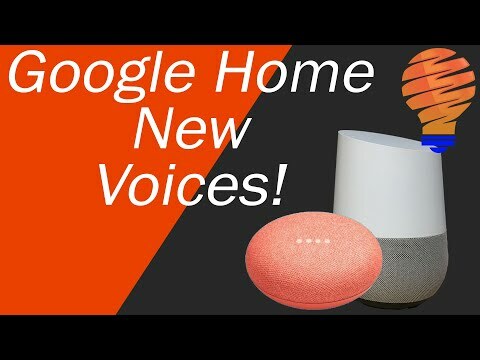 So with a total of now 8 voices, lets see how easy it is to change that voice in your Google Home. 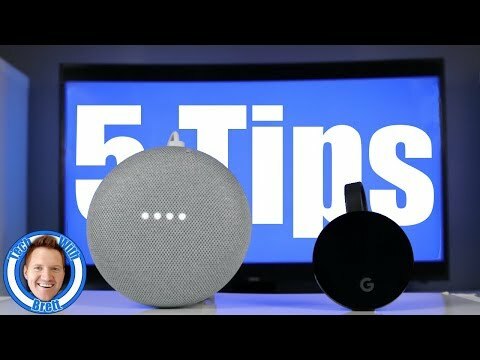 ----------------------------------- Google Home Tutorials https://www.youtube.com/watch?v=9EqP1cynzv8&list=PL4KuquQflsLea0Yz-XgpPDzRYhnftXZPm ----------------------------------- ►Follow Me ! ➥ https://www.instagram.com/grosstechreview/ ➥ http://https://www.facebook.com/GrossTech/ ➥ https://twitter.com/GrossTechnology ----------------------------------- ►SUBSCRIBE YOUTUBE → https://www.youtube.com/c/Grosstechnology ----------------------------------- ►BACKGROUND MUSIC →Home DISCLAIMER: As an Amazon Associate I earn from qualifying purchases. This video and description contains affiliate links, which means that if you click on one of the product links, I’ll receive a small commission. This helps support the channel and allows us to continue to make videos like this. Thank you for the support! List of gear: https://kit.com/GrossTechnology Tubebuddy link: https://www.tubebuddy.com/GrossTech MorningFame link: https://morningfa.me/invite/4khc1u54 Video Ranking Academy link: https://courses.seancannell.com/a/7802/tbJ3Fdfw In this video I go over just how easy it is to access and change that voice in your Google Home. Full info: Blog.BestBuy.ca Follow me on Twitter & Instagram @ErinLYYC *Sorry about the cruddy audio on this one, friends. Still learning my new equipment. * You've no doubt heard about the popularity of voice-controlled technology. Did you know you can not only control speakers and lights by talking to them, you can also control your TV? It's becoming increasingly common to see voice-controlled TVs. You'll find a few options: voice control is built into the remote; you'll need to push a button to activate it; Examples: Apple TV voice control is built in to a smart TV. Just talk to it. 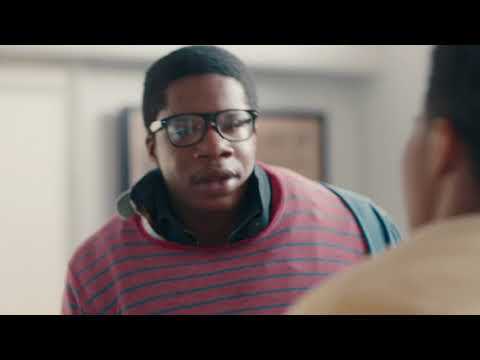 Examples: Samsung Frame TV/smart TV and Android TV with Google Assistant voice control is added-on, usually via a streaming device like Google Chromecast, when connected to a smart home digital assistant such as Google Home. You may also see this with Apple TV and Siri via your iPhone too. What can you do with voice controlled TV? Depending which of the above scenarios you have, you can do different things. This article will focus on controlling a Google Chromecast device using Google Home. 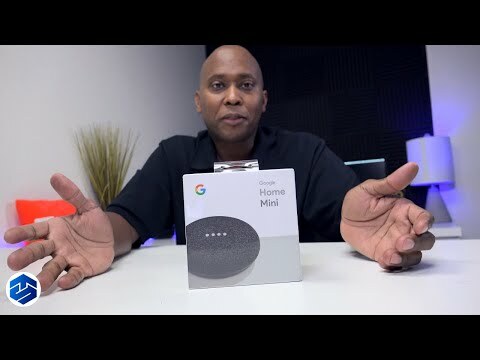 With voice control, you can ask the Google assistant to carry out several tasks like: Turn a Chromecast streamer on/off Play most streaming content by saying, "OK Google, Play (Show name) on (streaming service, i.e. 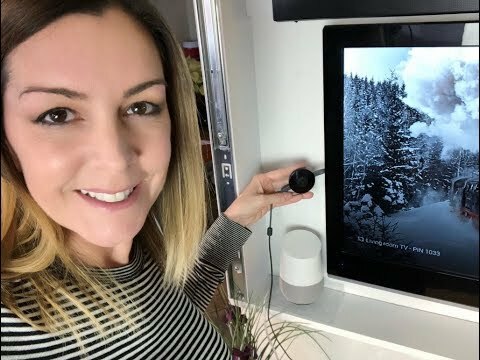 Netflix, YouTube) on (name of Chromecast device, i.e "Living Room TV") Play music on the Chromecast to the TV Set up Google Home and Google Chromecast If you haven't already, plug in and set up/configure your Google Chromecast and/or your Google Home. Make sure you are logged into both devices using the Google Home app and ensure they are on the same Wi-Fi network. 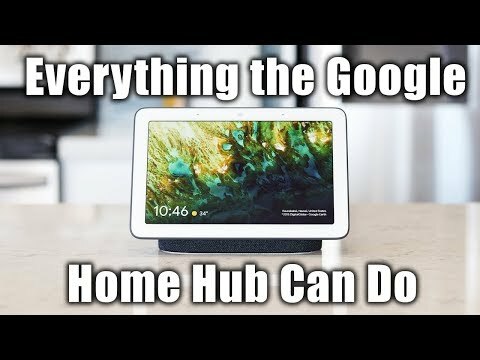 Link the Chromecast and the Home device To get Google Home to talk to Chromecast TV you need to link them in Google Home app. Open Google's Home app on your smartphone or tablet. You will likely see a 'card' on the main screen that asks you to "Link to your account" (If not, check that you can see both the Google Home and the Chromecast in the "Devices" tab.) Click Link to your account. Test the connection by saying, "OK Google, Play (TV Show name) on (streaming service, i.e. Netflix, YouTube) on (name of Chromecast device, i.e "Living Room TV") You should see the content start playing. If it's not quite configured, the Google Home app may prompt you to register or log in to some video services. How to log in to video services Google's Home app will likely prompt you to log in to things like YouTube and Nexflix, before you can use them but if it doesn't, open the app for the service you'll want to link, such as Netflix, and log in. At this point, return to the Home app and you should be linked. For the most part, the Google Home app will help you through this set up, even if you're using an iPhone, as I was. 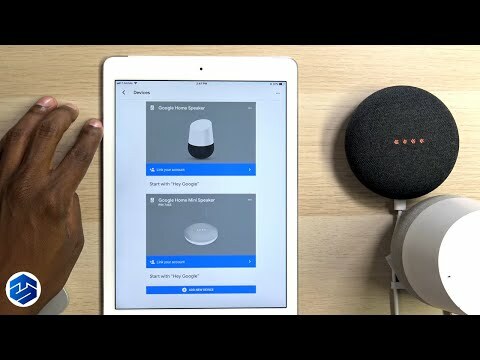 Google Home Mini & Max assistant supports other languages like German, English, French, Japanese, and later this year 2018 will include Spanish, Italian, Portuguese and Korean. Learn more about Tech and how to use it, Subscribe to Tampatec here- https://www.youtube.com/tampatec * Follow Tampatec on Instagram for tech videos and tech giveaways -https://www.instagram.com/tampatec/ *Follow on G+ http://bit.ly/2ormuvN * I offer free tech support for my subs and followers *Some of these products I buy myself and some I receive for free to produce a Howto guide or / and review for companies but I DON'T get $ for positive product reviews. *My TV repair tools I use in my videos found here- http://amzn.to/2B7J1q9 the links support my tech channel Hi, I'm Paul an electronics tech from NYC area but live in Tampa bay area currently aka Tampatec, I post weekly usually on the weekends. 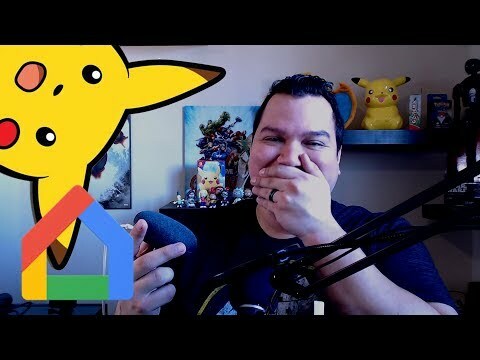 My Howto tech channel is aimed for the novice tech or anyone that wants an easy to follow tech guide or wants to easily learn how to setup, use or fix their electronics. whether it's LED LCD TV, tablets, phone repair, home automation setup, Google Home, Chromecast guide, Echo dot tutorials, just to name a few. I'm here to help for free, just subscribe. *DISCLAIMER When working on electronics or installing, act at your own risk. follow safety manuals and / or NEC safety codes, unplug power, please watch other howto videos for a better understanding. Tampatec is not responsible for damages or misunderstanding info in the videos. I believe in this famous quote- give a person a fish they eat for a day but teach that person to fish and they will eat for a life time. Thanks for watching and your support! 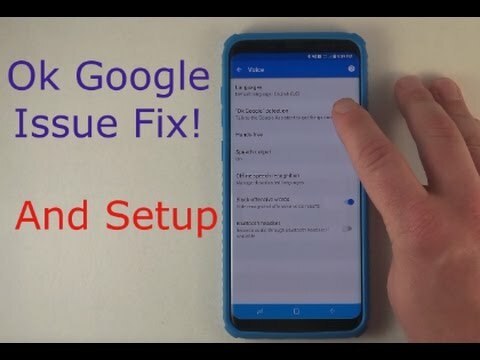 Guide on how to create this: Product: Smarter iKettle version 3.0 Automation tools used: Smart Voice assist (either): Google Home Amazon Alexa Samsung Smarttings ActionTiles Options: Option 1: Using IFTTT and Google Home or Amazon Alexa: *. Set up your account with iKettle, follow the getting started guide that came with the smart kettle. *. Set up your account with IFTTT.com. *. Click on your user name in the top right and choose "Services" *. In the search bar search and add "Smarter" service (smarter is the company that made the iKettle). *. Follow the prompts to add your account. *. 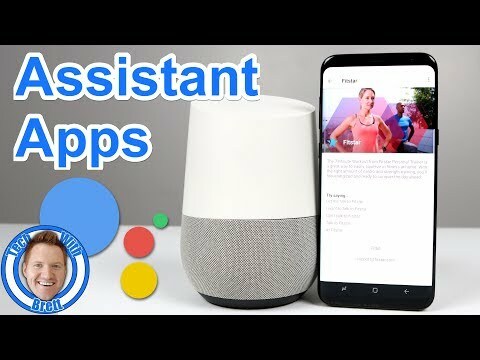 Do the same steps for either google assist or amazon alexa based on what you have/want. *. Go to IFTTT Applet page. (on the top left) *. Click on add a new Applet. *. Click on IF THIS and choose either google assist or amazon alexa as the service you like. *. Choose "Say a simple Phrase". *. Choose what you want to say, as an example in the video i choouse "Make me coffee". *. Click "Create Trigger". *. Now click on "That". *. Search for smarter. *. 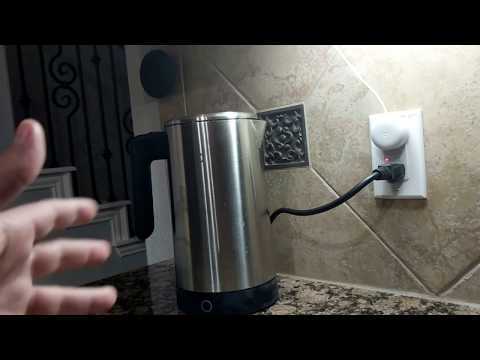 Choose "Boil the kettle" and fill in the way you want it. *. Complete and create the applet. Option 2: Using SmartThings and ActionTiles. *. Go to https://graph.api.smartthings.com/ and log into your ST account. *. Go to My Devices *. Click on "New Device". *. Name: Kettle. *. Type: Momentary Botton Tile. *. ID: Kettle001 *. Add the new device. *. Open ST app on your phone and make sure the new device is added. *. Go to SmartApps on your ST mobile app and choose IFTTT (if you dont yet added IFTTT SmartApp, do so now). *. Click on IFTTT and add the newly created switch button. *. Go back to IFTT and create a new applet (same steps as above only this time the IF THIS should be SmartThings as the service and choose the new button as the switch). ActionTiles: *. In AT (ActionTiles), resync ST "Things" to find the new button switch. \ *. Go back in AT and add a new "Item". *. Add the new Switch. *. Move the tile where you want it. *. Done. A powerful little helper. Get hands-free help in any room with Google Home Mini. It's powered by the Google Assistant. You can ask it questions. Tell it to do things. Its your own personal Google. Get answers from Google. Use your voice to quickly find information about the weather, news, sports and more. "Hey Google, will I need an umbrella today?" Manage your day from breakfast to bed. 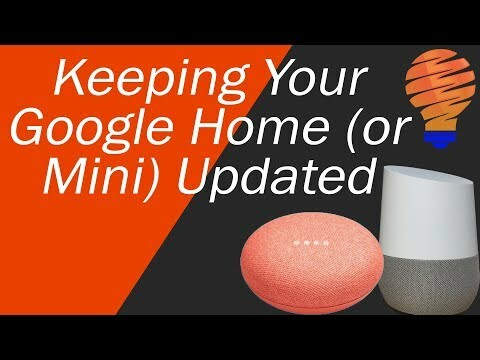 Get help with things like your schedule, commute, travel information and more.Google Home Mini can even help you find a lost iPhone or Android phone and make phone calls to any personal contact or business. "Hey Google, wake me up at 6:30 AM tomorrow." Play, pause, and rewind. Hands-free. Control your favorite music, movies and shows, using only your voice. "Hey Google, play some pop music." Control your smart home. Use your voice to control your compatible lights, thermostats and more. 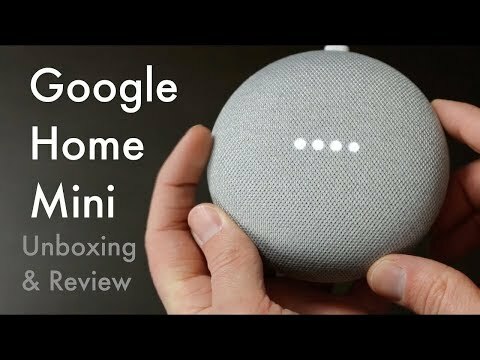 Google Home Mini works with more than 1,000 smart devices from over 150 popular brands. "Hey Google, turn off the bedroom lights." Fun for the whole family. Learn something new, play fun games and listen to stories with the Google Assistant. Want to tell the kids breakfast is ready? 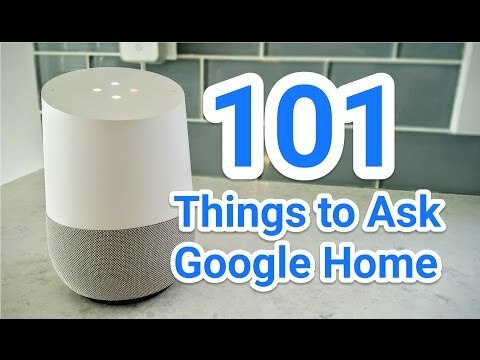 Broadcast a message to other Google Home devices around the house. Hey Google, lets play a game. Your child can sign in to Google Home devices with their Google Account managed with Family Link. Your voice. Your info. Get personalized responses for everyone at home with voice recognition. "Hey Google, when is my first meeting tomorrow?" Choose between different colors. Google Home Mini comes in two unique colors, Chalk and Charcoal. Select the right color that matches your room and personal style. Learn New Technologies -- Visit Our Channel -- https://www.youtube.com/tutorialspoint2016 1) CodeIgniter Mini Project Tutorial in Hindi/Urdu Using Angular JS & Boostrap 3 : https://goo.gl/FSwsJ4 2) Codeigniter Tutorial for Beginners Step by Step in Hindi : https://goo.gl/bxG6gJ 3) PDO-OOP-PHP-CRUD-with-Bootstrap : https://goo.gl/q1KRTn 4) AngularJS Tutorial for Beginners (For Absolute Beginners ) : https://goo.gl/Hak26N 5) JSON Tutorial for Beginner : https://goo.gl/ryPu35 6) Git and GitHub Training In Hindi : https://goo.gl/HpToSd 7) Java Tutorial For Beginners (Step by Step tutorial) : https://goo.gl/QxJ68x 8) PHP Tutorial for Beginners (For Absolute Beginners) : https://goo.gl/S3urkU 9) OOPS Tutorial for Beginners in PHP : https://goo.gl/k2kJDM 10) Bootstrap Tutorial for Beginners : https://goo.gl/NGFDse 11) Magic Methods in PHP Tutorial : https://goo.gl/BdYLfJ 12) Build a PHP MVC Application : https://goo.gl/yqDCkb 13) Whats new in PHP 7 | (Introduction) : https://goo.gl/rTTKkr 14) CRUD with PHP and MySQLi Tutorial : https://goo.gl/yyjWD7 15) Technology Tips and Tricks : https://goo.gl/MpR952 16) MongoDB Tutorial for Beginners (Hindi) : https://goo.gl/NZXD1u Any questions or suggestions you may have, let me know in the comments below and I will try to reply as soon as I can. You can connect with us in social Media :- Youtube : https://www.youtube.com/tutorialspoint2016 Twitter: https://twitter.com/tutorialspoint2 facebook : https://www.facebook.com/tutorialspoint2016 Instragram : https://www.instagram.com/tutorialspoint2016 Google plus : https://plus.google.com/+TutorialsPoint2016 Blogger : http://tutorialspoint2016.blogspot.in/ Don't forget to hit the Subscribe & Like button!